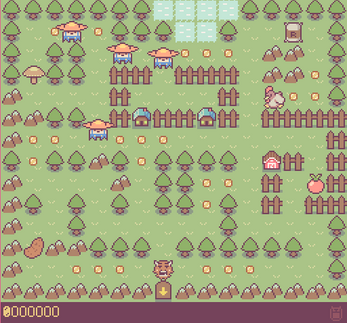 Made for Ludum Dare #33. 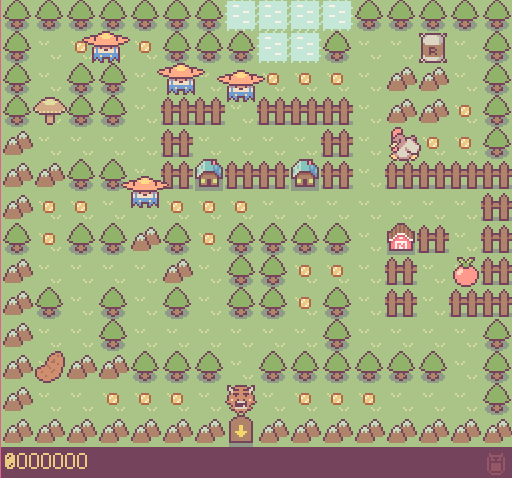 UPDATE: Placed #9 overall in Ludum Dare #33! Awesome! The farmers have burned down your fields, how else can you pursue your life-long passion of making soup and keeping your children fed?! Of course! Steal their crops, those jerks! You'll make the best soup ever with it too! 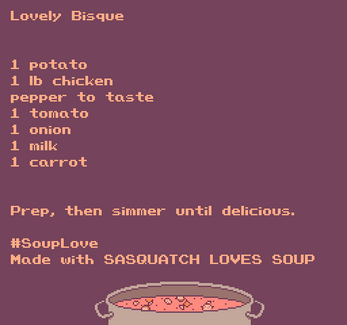 In Sasquatch Loves Soup, you'll go between foraging and making soup--The most wonderful of culinary traditions--as you please. Watch out for those nasty croppers though, they sure seem to have it out for you! Controls + rule explanation (it should be easy to intuit) included in a text file. Share your recipes on twitter through the in-game recipe sharing function at #SoupLove!